Ever felt like everything that you just ate is going to come back out in reverse? Or it did come out? It is basically your stomach not being able to digest the food, causing you to vomit or throw up. Vomiting is a forced voluntary or involuntary draining of the contents of the stomach through your mouth. It can happen due to some unsettling substance that is not sitting right in the stomach. However, recurrent bouts of vomiting can be a sign of an underlying medical condition. Step 1: Mix all the ingredients. Step 2: Strain the water and drink it. Step 1: Mix all the ingredients well. Single-Step Treatment: Dip a tea bag in a warm cup of water to drink. Single-Step Treatment: Mix activated charcoal with water to drink. Single-Step Treatment: Pour a few drops of lemon essential oil on a handkerchief and smell it. Step 1: Rinse the uncooked rice to remove dirt. Step 2. Soak the rice in fresh water. Vomiting is a very common condition and can happen to anyone. Something as trivial as too much eating or drinking can also cause vomiting. Steer clear of foods that are hard to digest. Eat five to six small meals a day instead of having large meals thrice a day. Do not lie down or sleep immediately after having food. Do not eat stale food or food that have been sitting out for a while. Eat meat that is properly cooked. Do not exceed one or two alcoholic beverages in a day and limit your intake. An excessive amount of alcohol is hard for the body to process and this can cause you to throw up. Your body requires fuel to exercise, but exercising immediately after eating can make you vomit. Prop yourself up or sit down when you feel nauseous. Even though sugary beverages aren’t recommended when it comes to the body, they help calm the stomach during bouts of vomiting. Make sure to sip on some sugary drink when you feel queasy. Note: If the vomiting lasts for more than one day, consult your healthcare professional immediately. It may be a sign of an underlying health condition that requires immediate medical attention. You can try some home remedies for relief from spells of nausea and vomiting. In South Asian countries, ginger is believed to cure stomach issues and nausea. It has been used as an herbal remedy for more than 2000 years to treat stomach upset, cold and flu, diarrhea, and vomiting. It is also a great carminative, which means that it helps you get rid of extra gas from your intestinal tract. Ginger is a bit like nonsteroidal anti-inflammatory drugs, which alter the biochemical paths. It is also an antispasmodic, which helps to relieve stomach spasms that result in throwing up. Ginger is also a mild stimulant like coffee, which improves blood flow. Pour 1 cup of apple juice into a mixing jar and add ½ cup of water to it. Include a ¼ tablespoon of ginger powder in the mixing jar and blend the contents using an electric hand whisker. 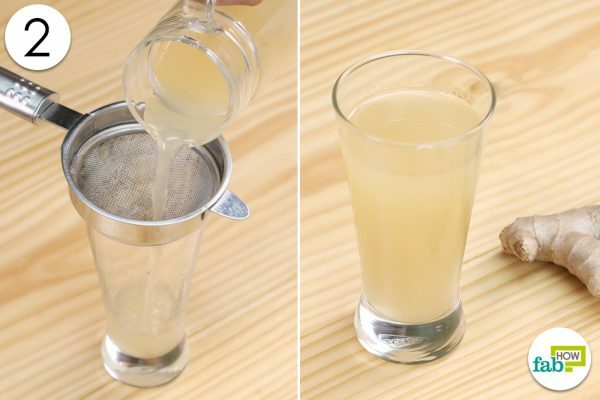 Strain the mixture in a separate glass using a sieve and drink the concoction. 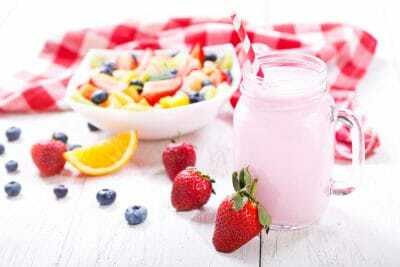 Take small sips of this drink, so the stomach gradually gets accustomed to it. 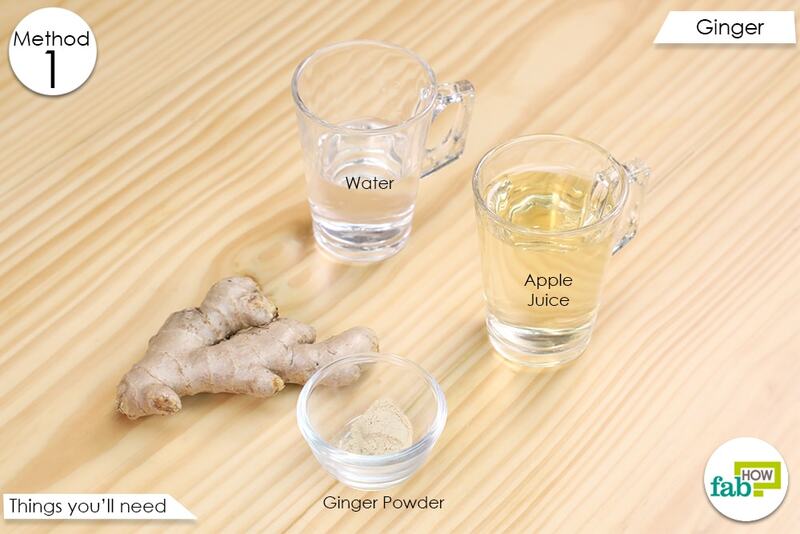 Alternatively, you can chew on a small piece of ginger or leave it in a cup of hot water to infuse. Drink this when it has cooled down a bit. It has enzymes that are produced during the fermentation process. Such enzymes help break down the food effectively in digestive disorders. It also helps restore the low acidic levels in the stomach that causes heartburn, improper digestion, and acid reflux. Pour 1 tablespoon of apple cider vinegar and 1 tablespoon of honey into a glass of water. Mix the concoction well and drink it in small sips. 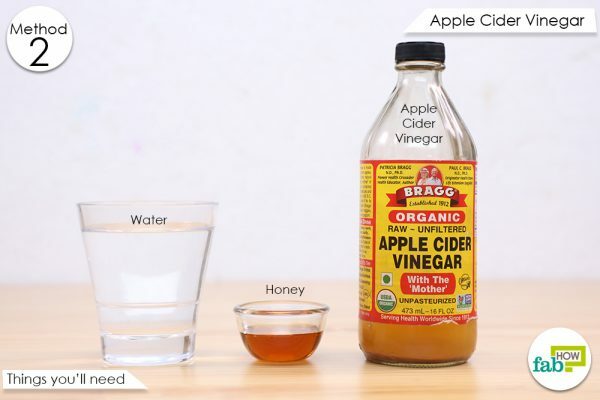 Also, use apple cider vinegar as a mouth rinse to get rid of the vinegar smell. This way, you can avoid vomiting again. 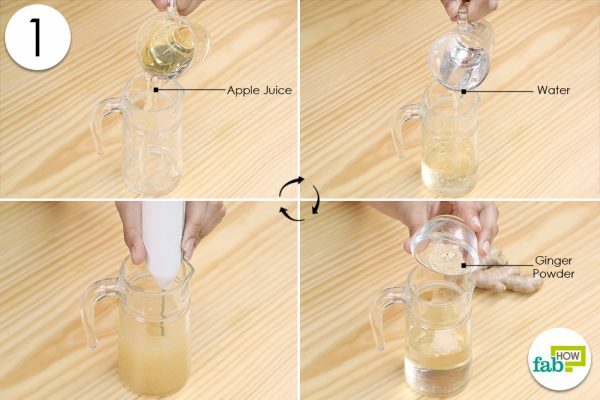 Ensure to dilute the apple cider vinegar with water before rinsing. It is usually used to treat digestive issues, diarrhea, and flatulence. Peppermint tea is specifically safe for people with irritable bowel syndrome. 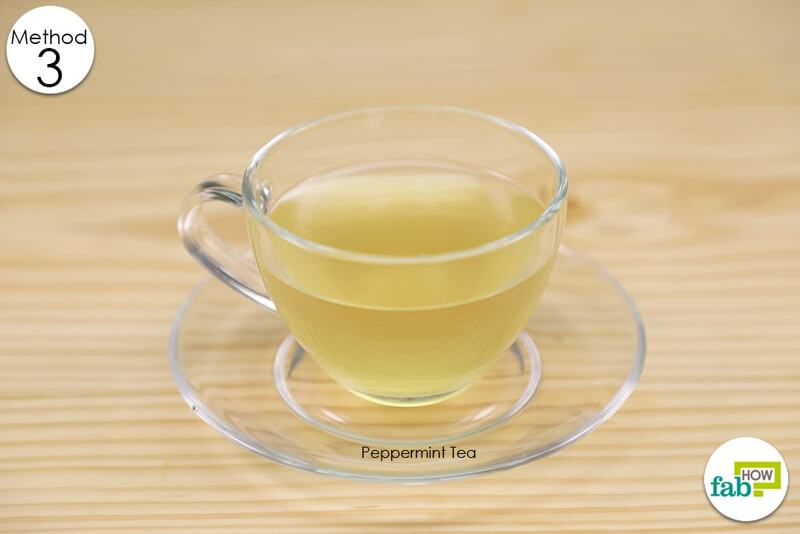 Note: Do not use peppermint tea if you have gastroesophageal reflux disease (GERD). Take a cup of warm water and dip black tea or peppermint tea into it. Drink this tea for relief. It is believed that activated charcoal allows the toxins or bacteria to cling to its outer layer. This way, activated charcoal reduces the spells of vomiting by preventing the stomach from getting further infected. Use food-grade charcoal to make this concoction, and do not confuse this with the one easily available for your barbeque grill, which can be dangerous. 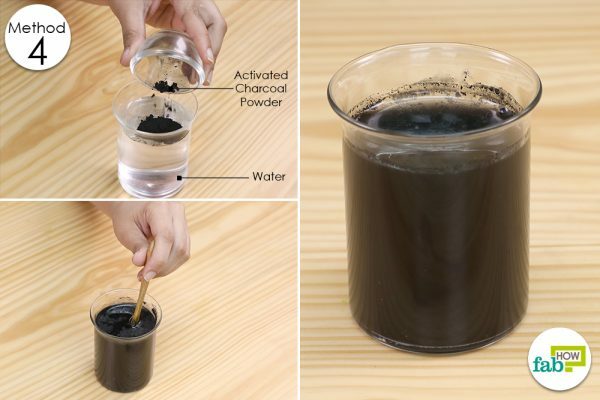 Take 1 tablespoon of activated charcoal and mix it in a glass of water. Drink this charcoal solution. Do this once a day for a few days as prevention. For patients who are sick, use this after every episode of vomiting. Use a ¼ teaspoon for babies, 1/2 teaspoon for small children, 1 teaspoon for children, and 1 tablespoon for adults. Avoid this remedy if you are on medication. Do not drink the activated charcoal concoction before or after 2 hours of ingesting any medicine, as the charcoal may also absorb the medicine. Cinnamon improves digestion and calms the lining of the stomach. It is a powerful antibacterial and provides relief within minutes of its consumption. 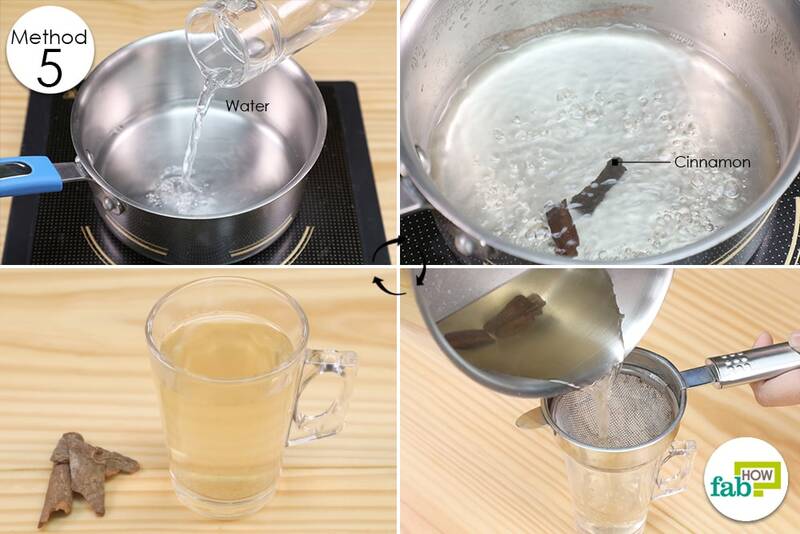 Boil a cup of water in a vessel on a cooktop. Set it to medium-low heat. Add 2 to 3 sticks of cinnamon to the water and cover the top. Bring the vessel to a slow boil over 25 minutes or whenever the brew slowly boils over. Strain the water using a sieve, and let it cool for 15 minutes until it becomes deep red. Sip on the drink slowly to relieve yourself from vomiting. 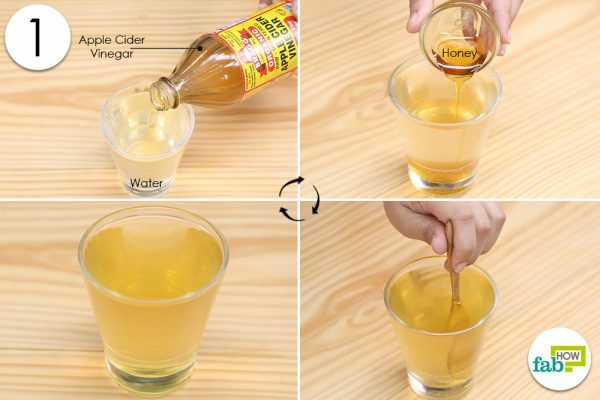 You can add a tablespoon of honey to this concoction as it creates a hydrogen peroxide effect and brings all the bacteria to the surface, which would be killed by the cinnamon. Feeling nauseous when there is a disturbance in the equilibrium, such as in the case of motion sickness, is quite normal. One of the remedies to deal with these kinds of situations is to smell or drink any citrus fruit juice such as lemon or orange juice. The lemon essential oil has limonene in it that has a refreshing smell and prevents vomiting. It has certain physiological effects on the body that include brain stimulation, anxiety-relieving sedation, antidepressant properties, and increased cerebral blood flow. 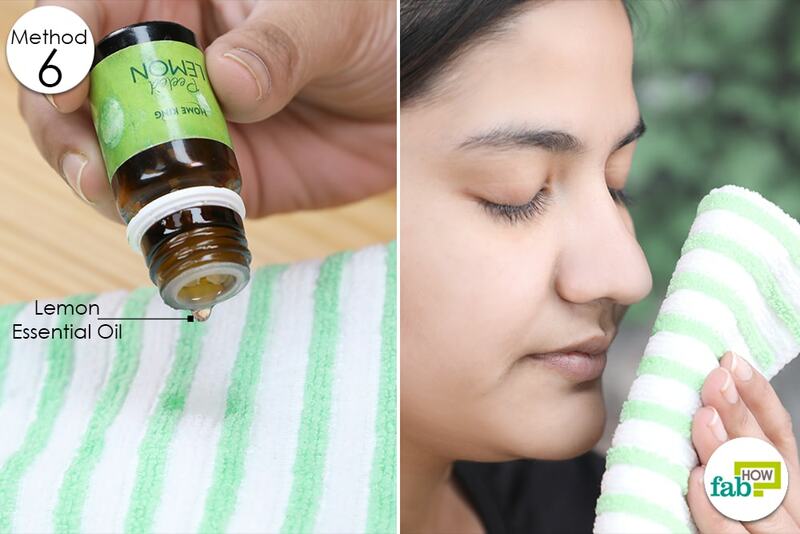 Pour a few drops of lemon essential oil on a handkerchief and smell it whenever you feel nauseous or after vomiting. You can also use orange essential oil. If your vomiting is caused by gastritis, then rice water is the best remedy to cure it. (10) There are also rehydration solutions available in supermarkets that contain rice. Rice water is rich in starch, and when it is mixed with water, it acquires demulcent properties, which means it relieves inflammation and irritation. This, in turn, protects the internal mucous membranes of the stomach. You can use this as a base for your oral rehydration solution. Rice water also has some added benefits for radiant skin and strong hair. 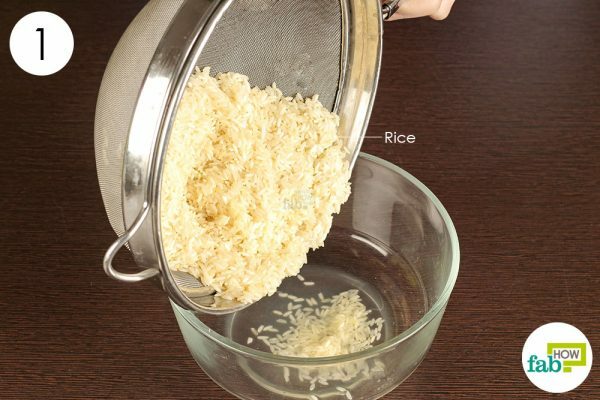 Take 1 cup of uncooked rice in a strainer and rinse it thoroughly to remove any impurity or dirt in it. 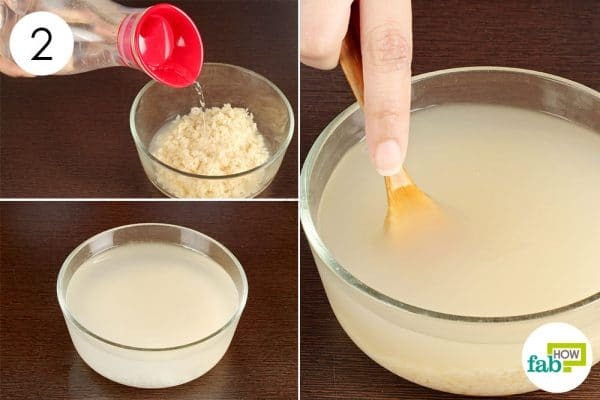 Transfer the washed rice into a glass bowl. Pour 2 cups of fresh water in the bowl containing rice and stir it well. Allow it to soak for about 15 to 30 minutes. Stir it from time to time. This allows the water to absorb the nutrients and minerals from the rice. 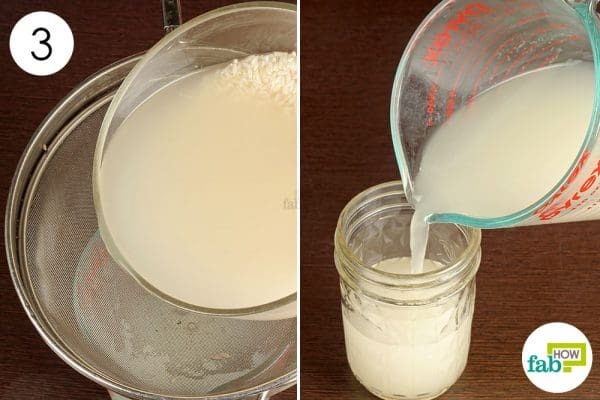 Strain the rice water into a glass container. Sip on a cup of rice water throughout the day for recovery. You can also consume cloves, which are known to have aromatic and soothing properties. It is also known to cure indigestion by stimulating the digestive enzymes. You can try fennel seeds to cure vomiting as they are believed to calm the digestive tract. Drink plenty of fluids to prevent dehydration during frequent spells of vomiting and diarrhea as these cause heavy water loss. Sip ginger ale, mint tea, ginger tea, lemonade, or just plain water to keep yourself hydrated. Yagnik D, Serafin V, J Shah A. Antimicrobial activity of apple cider vinegar against Escherichia coli, Staphylococcus aureus and Candida albicans; downregulating cytokine and microbial protein expression. Scientific reports. https://www.ncbi.nlm.nih.gov/pmc/articles/PMC5788933/. Published January 29, 2018. Managing Nausea and Vomiting at Home. American Cancer Society. https://www.cancer.org/treatment/treatments-and-side-effects/physical-side-effects/nausea-and-vomiting/nausea-and-vomiting.html. Published February 13, 2017. Tayarani-Najaran Z, Talasaz-Firoozi E, Nasiri R, Jalali N, Hassanzadeh M. Antiemetic activity of volatile oil from Mentha spicata and Mentha Piperita in chemotherapy-induced nausea and vomiting. Ecancermedicalscience. https://www.ncbi.nlm.nih.gov/pmc/articles/PMC3562057/. Published January 31, 2013. Thakore S, Murphy N. The potential role of prehospital administration of activated charcoal. Emergency Medicine Journal. https://emj.bmj.com/content/19/1/63. Published January 1, 2002. Khan IA, Aziz A, Sarwar HS. Evaluation of Antiemetic Potential Of Aqueous Bark Extract Of Cinnamon Loureiroi. Canadian Journal of Applied Sciences. https://www.researchgate.net/publication/264311681. Published January 2014. Cinnamon - an overview. ScienceDirect Topics. https://www.sciencedirect.com/topics/immunology-and-microbiology/cinnamon. Yavari Kia P, Safajou F, Shahnazi M, Nazemiyeh H. The effect of lemon inhalation aromatherapy on nausea and vomiting of pregnancy: a double-blinded, randomized, controlled clinical trial. Iranian Red Crescent medical journal. https://www.ncbi.nlm.nih.gov/pmc/articles/PMC4005434/. Published March 2014. Song DU, Jang MS, Kim HW, et al. Gastroprotective Effects of Glutinous Rice Extract against Ethanol-, Indomethacin-, and Stress-induced Ulcers in Rats. Chonnam medical journal. https://www.ncbi.nlm.nih.gov/pmc/articles/PMC4022797/. Published April 2014.